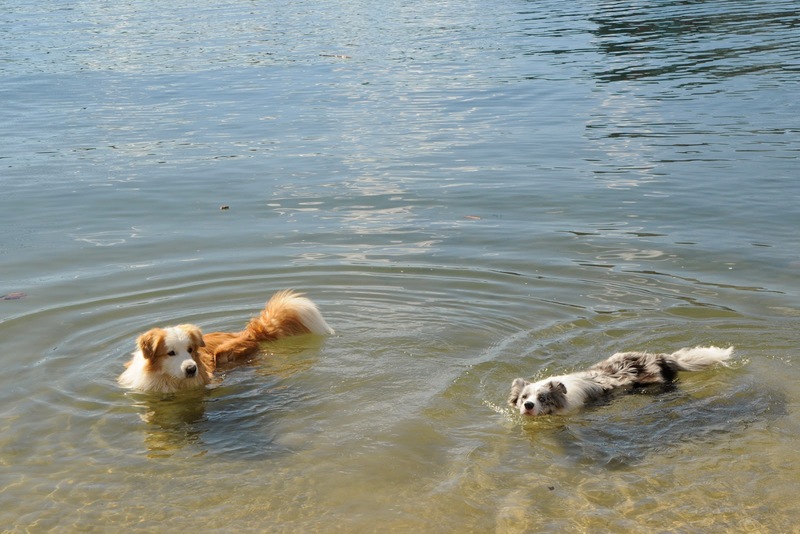 Not every dog is fortunate enough to be able to swim when they want to! Wonderful as summer can be, it isn’t an entirely benign season and reports of record temperatures in the papers always concern me. Companion animals of all kinds are susceptible to heat stress and heat stroke. Prevention requires awareness (if you’ve not been there before, visit the Bureau of Meteorology’swebsite or your country’s equivalent to check the weather report). Heat stress occurs under hot and humid conditions when heat production exceeds heat dissipation or cooling1. Heat stroke is a severe, life-threatening progression of heat stress, characterised by a core body temperature of over 41 degrees celcius in the dog2 (most published studies are on heat stress in dogs so exact figures are not available for cats but would be expected to be similar). In normal dogs, in normal circumstances, 70 per cent of heat is lost through radiation (loss of heat from the body surface) and convection (usually in response to movement of air, allowing cooling)2. As the environmental temperature increases, dogs rely increasingly on heat loss via evaporation – mostly via panting. The nasal turbinates (fine, mucous-membrane lined bones inside the nasal cavity) normally provide a large surface area for evaporative heat loss2. That surface area is often reduced in brachycephalic (flatter nosed) breeds, or heat loss is slowed by narrow nostrils (nares). Such dogs may need to salivate a lot to achieve the same evaporative heat loss2 – but in doing so they risk obstruction of the upper airway with saliva, and loss a large volume of body fluid, which contributes to dehydration. Phil cools off in front of the fan. Note his excessively shaggy coat...this pic was snapped on an unseasonably hot day. But keeping shaggy dogs groomed also helps them keep cool. Heat stress may be due to a higher environmental temperature (classical heatstroke) or strenuous physical activity (exertional heatstroke)2. 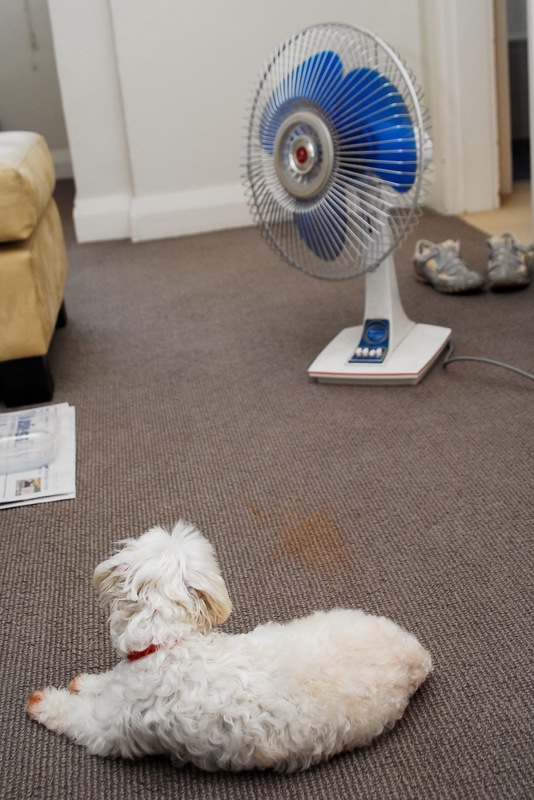 Dogs in particular are exposed to both of these when they are active on hot days. Heat stress harms dogs in two major ways. The first is by causing injuries through direct heat or overheating. The second is through secondary effects – dehydration, shock and poor circulation. The latter is the major mechanism for life-threatening consequences of heatstroke. The mortality rate of dogs admitted to veterinary hospitals for heatstroke is 50-65 per cent3. (That is probably because they tend to be presented late, ie at the end of the day when the owner comes home from work, where the animal has been exposed to heat all day). Heatstroke is associated with airway obstruction, cardiovascular abnormalities including an increased risk of cardiac arrest and internal haemorrhage or bleeding, and multiple organ failure1. Documented risk factors for death include a more than 90 minute time lag between onset of signs and treatment, and obesity3. 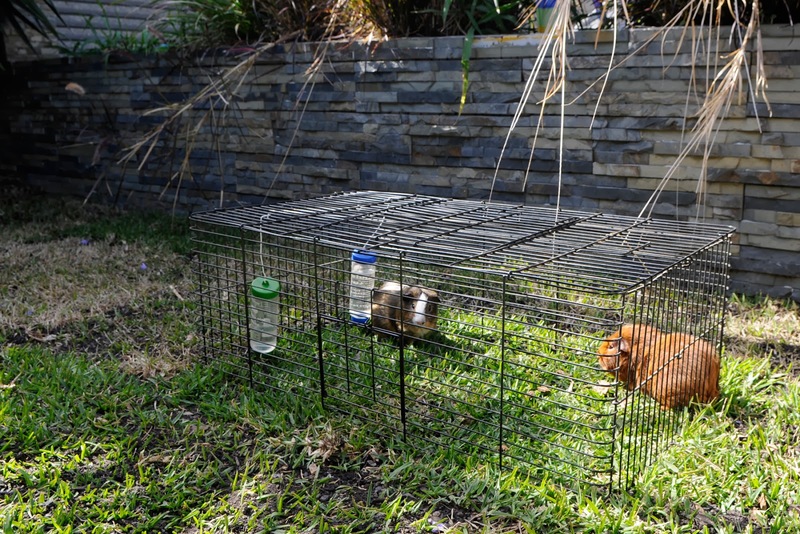 High environmental temperatures in enclosures can expose a large number of animals to heat stress simultaneously. Don't leave pocket pets in the full sun! In a short matter of time, as the shade moves, this situation can become potentially lethal. Monitor the environmental temperature in areas where companion animals are kept - at their level. Where possible, keep companion animals indoors or board them in an air-conditioned facility. Provide shade and ensure that access is day-round (shady spots can disappear during the day). Provide cool and iced water (I always provide a small ice-bucket for the guinea pigs on hot days). DON'T LEAVE ANIMALS IN A CAR WITHOUT AIR CON! If your pet is showing signs of heat stress or heat stroke, transport them to the vet immediately. It can be helpful to wet them down with cool (not COLD) tap water – overcooling animals can cause problems too. 1. Bruchim Y, Loeb E, Saragusty J, Aroch I. Pathological Findings in Dogs with Fatal Heatstroke. Journal of Comparative Pathology 2009;140:97-104. 2. Bruchim Y, Klement E, Saragusty J et al. Heat stroke in dogs: A retrospective study of 54 cases (1999-2004) and analysis of risk factors for death. Journal of Veterinary Internal Medicine 2006;20:38-46. 3. Aroch I, Segev G, Loeb E, Bruchim Y. Peripheral Nucleated Red Blood Cells as a Prognostic Indicator in Heatstroke in Dogs. Journal of Veterinary Internal Medicine 2009;23:544-551.